Ladies & Gentlemen, rental waters heaters are BIG BIG business in Ontario and yet, renting a water heater, is a phenomenon only in Ontario. While there are many advantages to renting versus buying, what’s more important is value for your dollar. A-Plus Air can provide either comfort level for you. 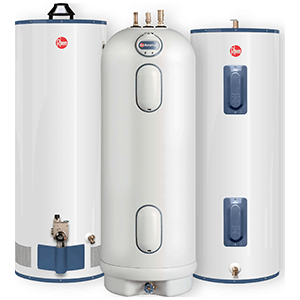 Some folks like the security of knowing their water heater is 100% covered in the event of breakdown; while others do the math and see that if they don’t have a single breakdown in 10 years, they could have bought the tank twice or even three times over after paying all that rent. What’s your security comfort zone?